Heart health is important for everyone – including a very busy patriarch gorilla at the San Diego Zoo Safari Park. At 45 years old, Winston is the oldest breeding male gorilla in the United States. He’s the leader of the troop at the San Diego Zoo Safari Park, in charge of keeping his eight loved ones safe including females Vila, Kamilah and Kokamo. He also keeps an eye on Kokamo’s son, Monroe, and her 1-year-old baby girl, Leslie. There’s also Imani, Frank and Joanne to watch over. It’s a big job, fit only for an older, experienced, so-called “silverback” gorilla such as Winston. That kind of responsibility can take a toll on a leader’s health. “Apes and gorillas suffer from a high percentage of cardiac disease, particularly older male silverback gorillas who are under a lot of stress keeping their troop in line and keeping their females protected,” explained Lauren Howard, DVM, the associate director of veterinary services at the San Diego Zoo Safari Park. Earlier this year, animal care staff at the park noticed a decline in Winston’s overall health. He was lethargic and had a decreased appetite. An exam and therapies were performed on the western lowland gorilla to get to the bottom of his symptoms but experts couldn't pinpoint any specific illnesses. With today’s technology and equipment, animal care experts knew more could be done for Winston. Joined by colleagues from the Great Ape Heart Project, veterinarians at the Safari Park decided to perform an in-depth assessment of the gorilla’s heart. Winston, the oldest breeding male gorilla in the United States, underwent a thorough medical exam that included an in-depth assessment of his heart on Nov. 8, 2017, at the San Diego Zoo Safari Park. 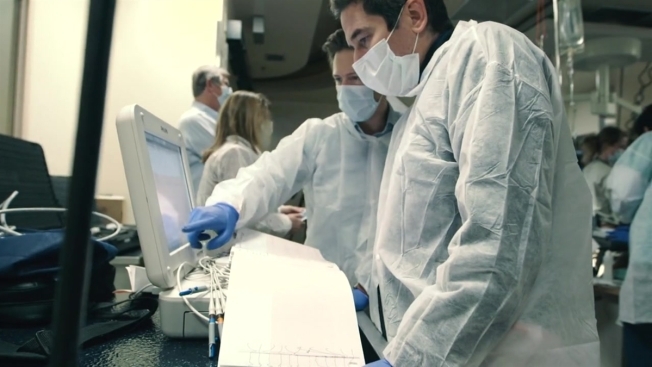 On Wednesday – with the help of experts from the University of California, San Diego, the University of California Davis, the University of California Veterinary Medical Center San Diego and the Veterinary Specialty Hospital of San Diego – they got to work. 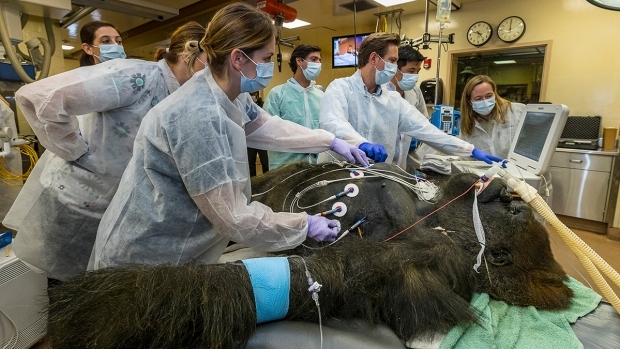 Winston was placed under general anesthesia and doctors were able to give the gorilla a comprehensive heart exam, including lab tests, an electrocardiogram and echocardiogram, at the Paul Harter Veterinary Medical Center at the park. He also received a complete dental evaluation and X-rays. The Safari Park said the findings from the tests would help doctors pinpoint Winston’s recent symptoms including possible heart disease. Howard said the exam was a priority for the Safari Park and a way to keep Winston as healthy as possible so he can continue his important task as leader of his nine-member troop. “Winston is 45, which is getting up there for gorillas and so, of course, we’re concerned about his overall health and any age-related changes he might be going through,” she explained. According to the park’s website, silverback troop leaders like Winston are in charge of making the decisions, including where the troop travels to seek food each day, where and when they eat or rest and where they spend the night. Safari Park visitors can see Winston and his posse daily at the Gorilla Forest exhibit. He likes to perch at either end of the habitat where he can keep a watchful eye over the other gorillas, especially the young males, to make sure they’re behaving. 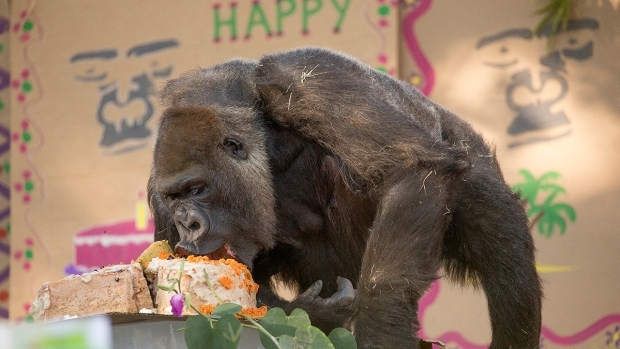 (Originally published on October 25, 2017) Vila, a beloved gorilla at the San Diego Zoo Safari Park, turned 60 this week, as her granddaughter, Leslie, turned 1. Keeper threw a "Tea for Two" birthday party for the duo, complete with snacks, decorations and, of course, cake. They shared the goodies with their family. Vila is believed to be the second oldest gorilla in the world. Gorillas are listed as Critically Endangered on the International Union for Conservation of Nature (IUCN) Red List of Threatened Species. 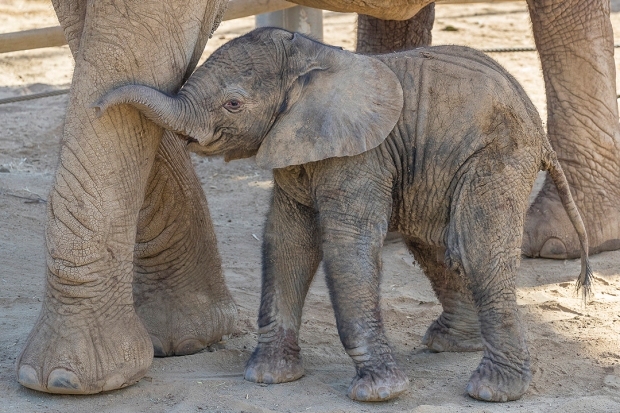 San Diego Zoo Global works to help conserve the species. “There’s a lot of things in the wild that are putting pressure on our gorillas, which makes it even more important that we continue to improve our science and our medicine for these animals so we can do whatever we can to save them from extinction,” Howard said.